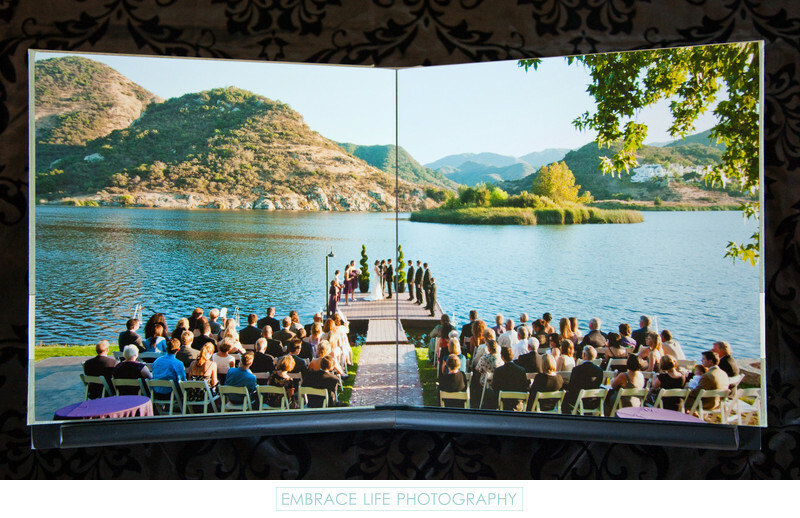 This two-page album spread perfectly presents this stunning Lake Sherwood wedding photograph and all of the scenic beauty it contains. All of our albums, with the exception of the Hand Crafted Modern Album, are capable of two-page, full-bleed photographic spreads like this one, shown in a Hand Crafted Elegant album made for the bride and groom. Location: Lake Sherwood, Thousand Oaks, CA 91361.